UPDATE: BYRON Shire Council has reacted to local anger in Brunswick Heads over illegal camping and illegal doof that took place on the beach last weekend. Shannon Burt, Director Sustainable Environment and Development, said. "Council is now investigating the circumstances surrounding the weekend party." 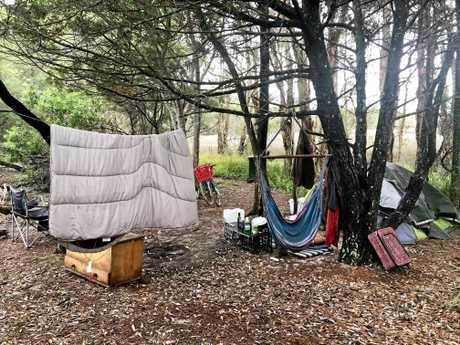 Council's action comes after residents contacted the Byron Shire News and vented their anger on social media saying illegal campers forced out of Byron Bay, due to Butler Street Reserve being locked from 9pm to 6am each night are now targeting Brunswick Heads. On Saturday night (23 March) there was a large gathering of vans and a doof in the parking area at the Brunswick Heads surf lifesaving club. The party spilled over onto the beach south of the club. Vans and 4WDs illegally accessed the beach, with reports that a vehicle became bogged in the soft sand at one stage." Ms Burt said council was aware that a party was held at Brunswick Heads last weekend and the damage to fencing, noise, rubbish and the large number of illegal campers has caused considerable concern and angst in the Brunswick Heads community. "We know that this event, and the complete disregard for the environment, residents and community values in Brunswick Heads, has angered locals," Ms Burt said. "Our Enforcement team patrols this area regularly because it is a known illegal camping hotspot, however we have now stepped up these patrols. "We visit this area at different times of the day and the fact the people might not see our cars does not mean that we have not been there. "Illegal camping is a problem in many parts of the Byron Shire and our Enforcement teams target the whole Shire every day. In 2018 Council issues 998 illegal camping infringements, 8,709 parking infringements (including overnight parking) and had 31 successful convictions relating to traffic, parking and illegal camping offences. From December 2018 - January 2019 Council issued 446 illegal camping infringements. 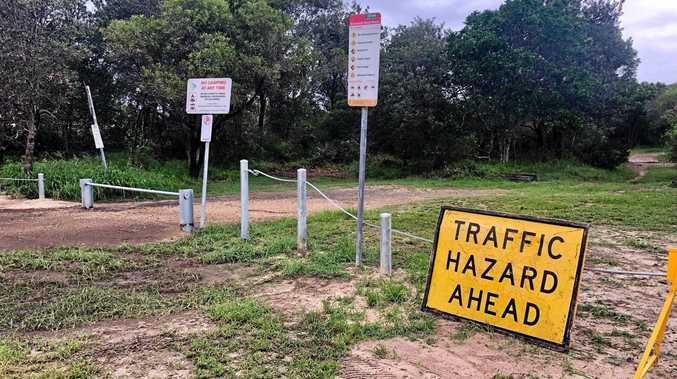 ORIGINAL STORY: BRUNSWICK Heads locals have taken to social media saying they are angry illegal campers forced out of Byron Bay appear to be setting up in Brunswick Heads. Byron Shire Council is now locking the gates at Butler Street Reserve from 9pm to 6am each night and issuing fines to anyone staying overnight. 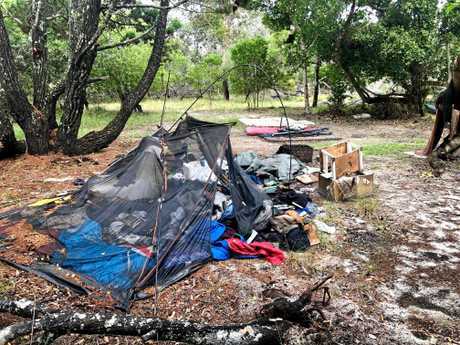 This comes after residents complained vanpackers were setting up long term camps, partying all night, trashing the area and using nearby bushland as a toilet. Brunswick residents are concerned the vanpackers are now shifting into the area surrounding the surf club on South Beach Road, and prior to a wire barrier and gate being installed on Monday, many others were driving into nearby bushland to set up alongside other well established bush camp sites. "THE overnight closure of Byron's Butler Street Reserve... has seen the problem of illegal camping and overnight vans gradually shift to Brunswick Heads. "Each evening the parking area at the Brunswick Heads surf lifesaving club fills with vans, which are still there in the morning. Vans are also parking along South Beach Road; near the war memorial at the intersection of Park and Fawcett streets; and in the reserve near the Brunswick Heads bowling club." Workmen arived on Monday, at the behest of Crown Lands, to erect a barrier, which was partially pulled down sometime on Tuesday. By Wednesday morning the barrier had been re-erected slightly worse for wear. Byron Shire News visited the area early on Wednesday and spoke with Rohan Stewart, director of the Brunswick Bush School an edu-connection program for local children that uses the areas for bush education classes. Mr Stewart said he had been lobbying council for some time to do something about the illegal camps in the area and he was pleased to see the area finally fenced off. "There has been a huge issue with illegal campers coming in taking advantage of the area," Mr Stewart said. "I'm stoked to see the barrier because I have been watching this place slowly getting trashed." "Cars are the problem, once the cars can get in they start making new tracks and bringing in big, heavy stuff like couches and garbage bins and lighting fires. 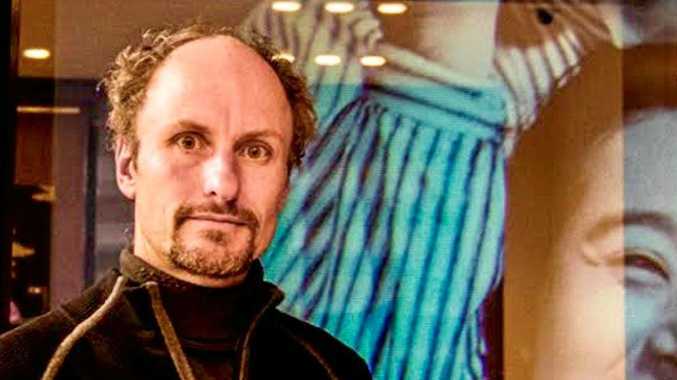 "I believe that part of the problem getting anything done about the illegal camping is that different parts of this area are controlled by Crown Lands and Byron Shire Council with the area further south controlled by National Parks. "Homelessness is an issue and its a real problem, but ...this is not a place for (solving) homelessness. Inside the fenced off area there were still at least a dozen camp sites, with occupants unwilling to speak with the media. There was also a number of abandoned camps strewn with garbage. Byron Shire Council has been contacted for comment.